When Elsey’s husband, Lukas, hands her a brochure for a weeklong mountain retreat, she knows he is really giving her an ultimatum: Go, or we’re done. Once a successful painter, Elsey set down roots in China after falling passionately for Lukas, the tall, Danish MC at a warehouse rave in downtown Beijing. Now, with two young daughters and unable to find a balance between her identities as painter, mother, and, especially, wife, Elsey fills her days worrying, drinking, and descending into desperate unhappiness. So, brochure in hand, she agrees to go and confront the ghosts of her past. There, she meets a group of men and women who will forever alter the way she understands herself: from Tasmin, another (much richer) expat, to Hunter, a young man whose courage endangers them all, and, most important, Mei--wife of one of China’s most famous artists and a renowned painter herself--with whom Elsey quickly forges a fierce friendship and whose candidness about her pain helps Elsey understand her own. But Elsey must risk tearing herself and Lukas further apart when she decides she must return to her childhood home--the center of her deepest pain--before she can find her way back to him. 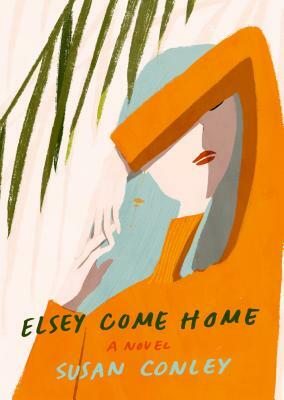 Written in a voice at once wry, sensual, blunt, and hypnotic, Elsey Come Home is a modern odyssey and a quietly dynamic portrait of contemporary womanhood. SUSAN CONLEY is the author of the novel Paris Was the Place and The Foremost Good Fortune, a book that won the Maine Literary Award for memoir. Born and raised in Maine, her writing has appeared in The New York Times Magazine, The Paris Review, and Ploughshares. She has been awarded fellowships from the MacDowell Colony, the Bread Loaf Writers' Conference, the Maine Arts Commission, and the Massachusetts Arts Council. She spent three years in Beijing with her husband and two sons before moving back to Portland, Maine, where she currently lives. She teaches in the Stonecoast Writing Program at the University of Southern Maine.